DO NOT upgrade Your EVE Ubuntu release to version LTS 18.04.1! Don't run "apt release-upgrade" ! Updated Sections: 4.6 Online licencing and EVE licence rehost, 8.1.1 Console from nodes list, 14.1.1, 14.1.8 Ostinato docker station, 16.4 Windows WiFi host. All Dockers will be stopped, wiped and rebuilt. EVE-NG PRO platform is ready for today's IT-world requirements. It allows enterprises, e-learning providers/centers, individuals and group collaborators to create virtual proof of concepts, solutions and training environments. EVE-NG PRO is the first clientless multivendor network emulation software that empowers network and security professionals with huge opportunities in the networking world. 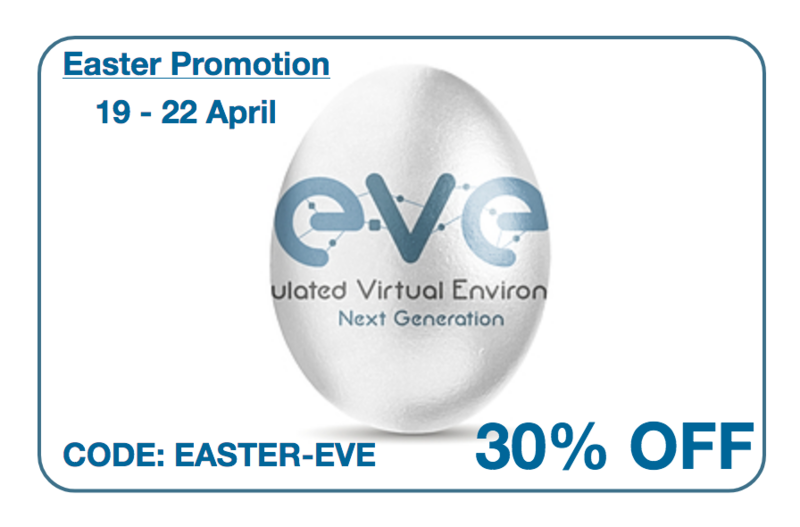 Clientless management options will allow EVE-NG PRO to be as the best choice for Enterprise engineers without influence of corporate security policies as it can be run in a completely isolated environment. The brand new structure is created with many updated features and improvements. EVE control improvement, Information display of running labs and nodes per user. Admin control of processes. With EVE, you will be able to train yourself including Cisco, Juniper and also lot of other vendors like CheckPoint, PaloAlto, F5 and many more. Topology designer "click and play"
Picture import and maps "click and play"
EVE brings You the power You need to mastering your network within multivendor environment designing and testing.